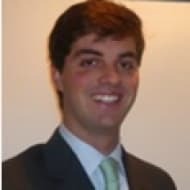 Philippe Casey is a bilingual graduate (English and French) of Georgetown University's McDonough School of Business where he double-majored in Finance and International Business. He has been trading listed options for two years and equities for five years. He is currently pursuing postgraduate studies at HEC School of Management in Paris where he will receive a MSc in International Business and a certificate in Energy & Finance with Deloitte and Société Générale. In 2010, he interned at Merrill Lynch for nine months in investment research. Philippe also attended the Chicago Mercantile Exchange's inaugural "School of Managed Futures" in Manhattan and holds a FINRA Series 3 (National Commodity Futures) license. He is a CFA Level 1 Candidate and will sit for the exam in June 2013.